As one of the fastest growing social media platforms and already over 800 million users, Instagram is a very competitive space where first impressions count and audience engagement is the pinnacle of success. The ever changing algorithms don’t help either, making growing your brand and audience a mission. But with the right tools, there are ways to get the most out of each and every post to achieve growth. Here’s how one brand did just that with the help of Iconosquare. 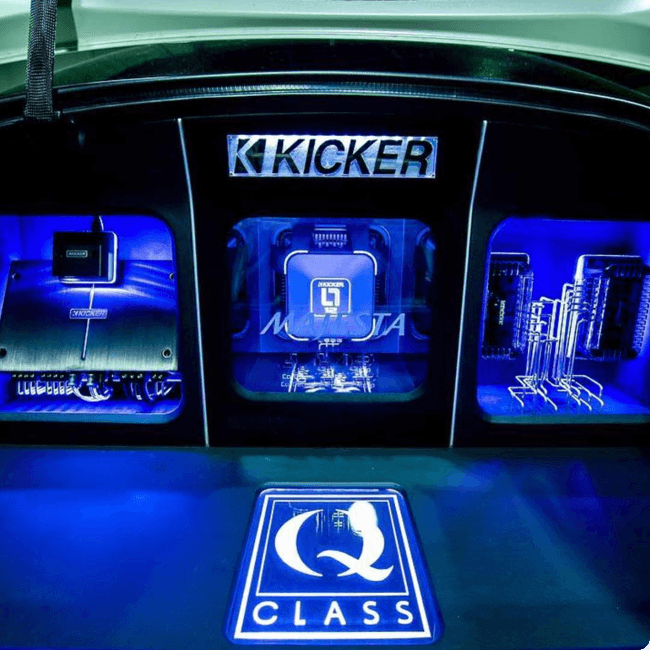 KICKER supplies “Lifestyle” home and personal products for digital media devices, including Bluetooth speaker systems and mobile audio systems for cars, such as speakers and amplifiers, to approximately 1,200 authorized dealers in the United States. Export sales are managed through a network of distributors serving over 2000 dealers in approximately 50 countries. As a company of 200+ employees, they pride themselves on pushing the limits of audio-design technology and performance. Growing your audience on a platform that is already saturated with brands jostling for new followers is a hard task. With so much content being presented to Instagram users, it really does come down to the age-old saying ‘first impressions count’. Aside from the challenge of growing an audience, a brand has to retain it using clever, engaging and authentic content. The only way to do this is to engage and be authentic yourself. Once follower numbers increase and engagement grows, a whole different set of challenges arises. On top of keeping up engagement, relevant content and consistent posting is essential to keep the momentum going. This can be a really time-consuming task, one that isn’t viable for a lot of companies — especially when competitor analysis and tracking also needs to be a focus. Kicker was no different. The challenge of understanding and providing good content to engage their audience was massive, especially as their follower numbers grew. Kicker soon realized that an analytics and social media management platform was needed. With engagement and website traffic as the main focus of Kicker’s social media strategy, it was important that the tool they used was going to easily and clearly give them access to up-to-date, accurate information – fast. After investigating other platforms, it became clear that the price and developer time required to create the custom API needed to get the results and detail that Kicker wanted was going to be an issue. Enter Iconosquare. With its advanced Analytics section, which includes metrics such as audience engagement and content performance, broken down by Post and Instagram Stories analytics, as well as its Competitor Tracking tool, Iconosquare was exactly what Kicker was after. Prior to using Iconosquare, the team wasn’t aware they could get some of the statistics that Iconosquare offered. Now they are able to break down how their content is performing on a post-by-post basis, what resonates the best with their audience and when the best time to post is to get maximum engagement. Having a clear understanding of how Kicker’s competitors (and their content) were performing meant that the team gained an up-to-date industry overview of what content works and what doesn’t – without having to go through the pain of testing everything themselves first. They’ve been able to see the latest media and the hashtags that their competitors are using and integrate those that work into their own strategy. Now with an audience of 137k followers on Instagram alone, Kicker has seen impressive improvements since using Iconosquare. Aside from an increase in followers, engagement and reach have also improved as a result of the team being able to see and understand what resonates with their audience. Based on past post performance, Kicker has successfully tailored their content and posting schedule to fit the needs of their audience better. As a result, they’ve seen a tremendous growth in followers of 50%. Using Competitor Tracking, the team can understand the competitive landscape at a macro level, break it down even further to get more detail on what’s working and what’s not and then explain this to stakeholders.